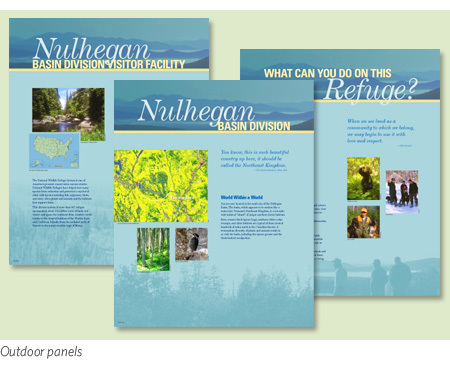 Working with the architects at Cambridge Seven Associates, Sara Delaney Graphic Design developed the graphic standards and designed more than 400 interpretive panels and interactive components. 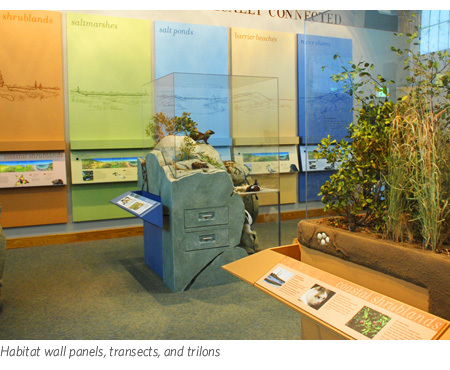 This visitor center included numerous interpretive panels, maps, murals, and interactive components. 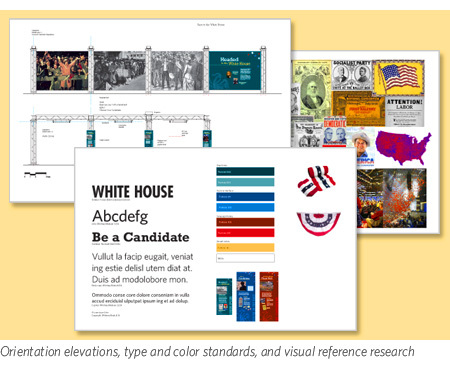 A graphic schematic package— including type and color specifications, four elevations, photo research, six panel layouts, and two rounds of edits—was completed within a 48-hour period for an exhibit design firm. 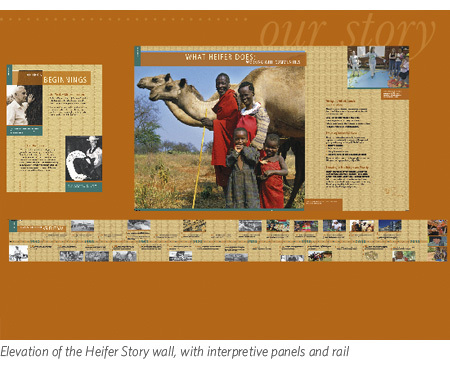 This small visitor center is packed with over 100 graphic panel designs.